Another chance to get your hands on my Sooty children's jumper pattern! I'm sure many of you recognise Sooty, the distinctive yellow hand puppet who has starred in various incarnations of his own show over many years (apparently he first appeared on TV in 1952!). 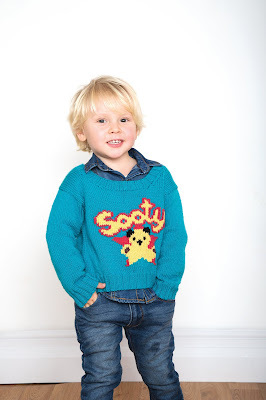 Several years ago, I was asked by Knit Now magazine to create a children's jumper pattern featuring the character, and the pattern appeared in the Baby Knits supplement included with issue 57. 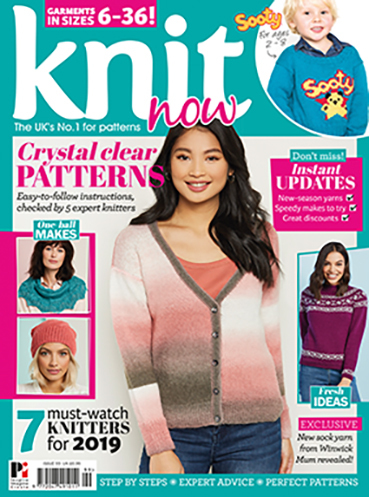 Obviously, that was quite a long time ago (February 2016), but if you missed the pattern then, you have another chance to get your hands on a copy as the pattern has been republished in Issue 99 of Knit Now, which is on sale now. 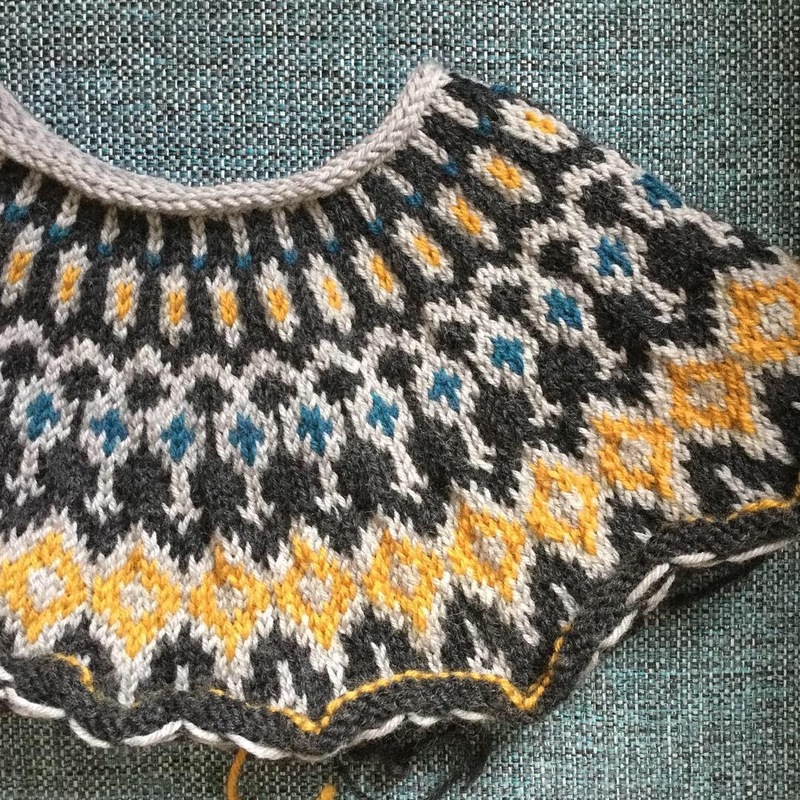 The jumper is knitted flat and seamed, with the Sooty motif knitted in to the front using the intarsia technique. There are quite a lot of fine details in the picture, and I added a lot of these at the end using duplicate stitch, so feel free to combine intarsia and embroidery if that makes it easier for you to work. 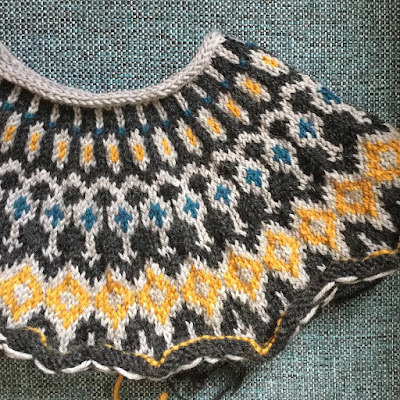 The collar is knitted in the round at the end after the jumper has been seamed. The pattern is written for 4 sizes: 2, 4, 6 and 8 years, with finished chest sizes of 60, 68, 72 and 74 cm. I recommend choosing a size approximately 7.5 cm larger than the recipient's chest measurement. 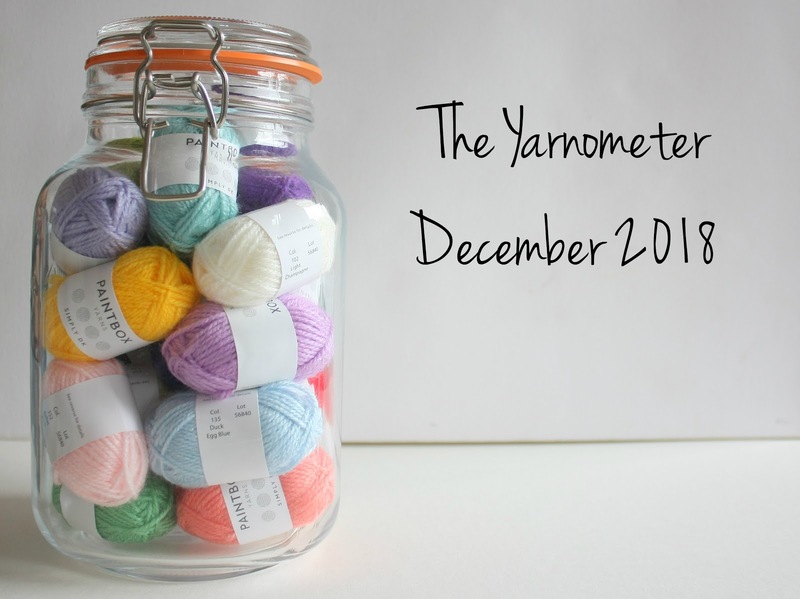 The original sample is knitted in Sublime Extra Fine Merino Wool DK,* which is lovely and soft and real treat to work with. 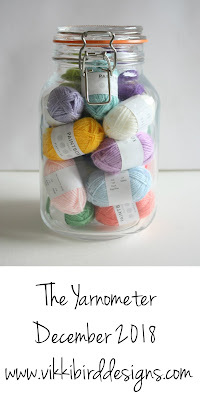 If you fancy using something a little more budget-friendly, why not try Stylecraft Special DK,* or Paintbox Yarns Simply DK,* both of which are 100% acrylic and come in a fabulous array of colours. 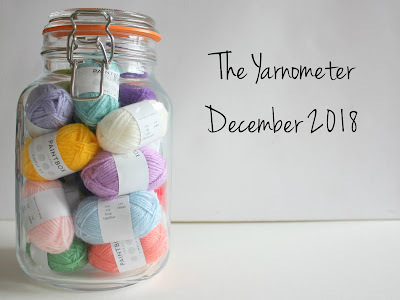 You'll only need very small amounts of the contrast colours, so this could be an excellent opportunity to use up some of those oddments of yarn you might have lying around. Want to get your hands on a copy of the pattern? You'll need to pick up a copy of Knit Now issue 99, which is available now in the UK, or can be ordered online via the More Mags website. The pattern is also avaiable in digital copies of the magazine.